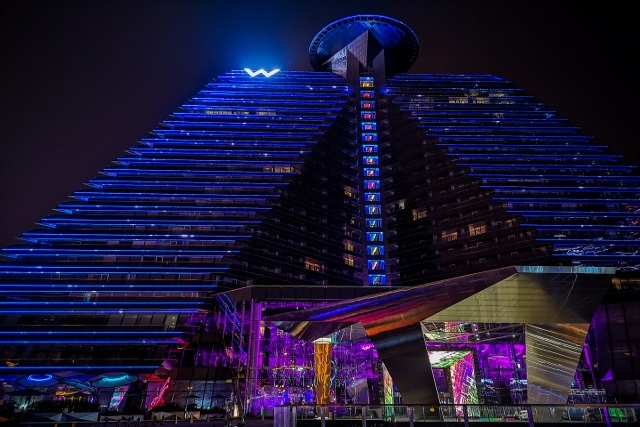 W Xi'an (西安W酒店) is a five-star luxury hotel located in the Qujiang New District of Xi'an, the capital of Northwest China's Shaanxi province. 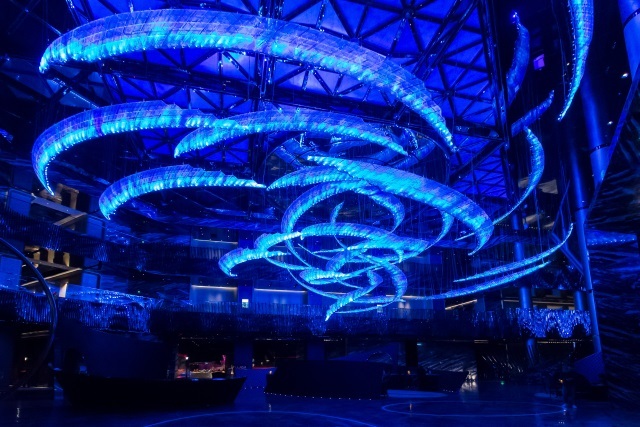 W Xi'an opened in August 2018, making it the newest hotel in Xi'an and the sixth W Hotels property in China. 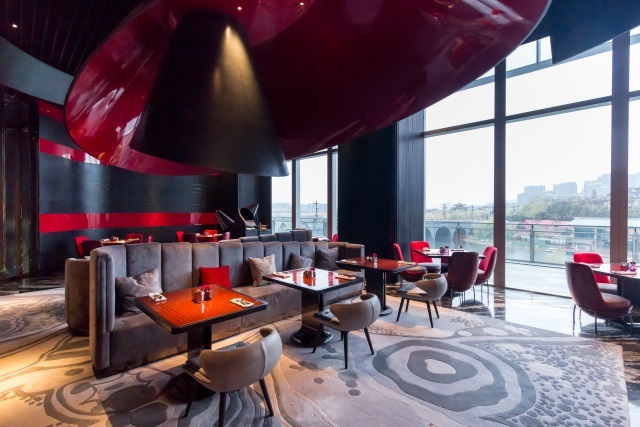 With a total of 385 guestrooms and suites, W Xi'an is currently the largest W Hotel in the Asia Pacific region, and perhaps one of the most iconic W Hotels around the world. 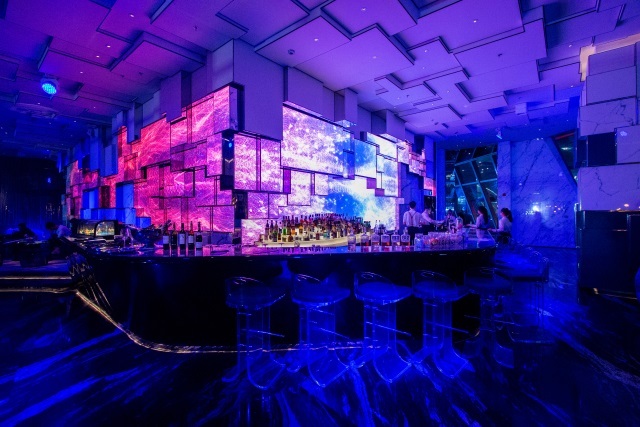 Arriving guests are welcomed with a grand entrance framed by giant LED screens. The futuristic display makes you feel you are stepping into the future as you walk your way into the Living Room. 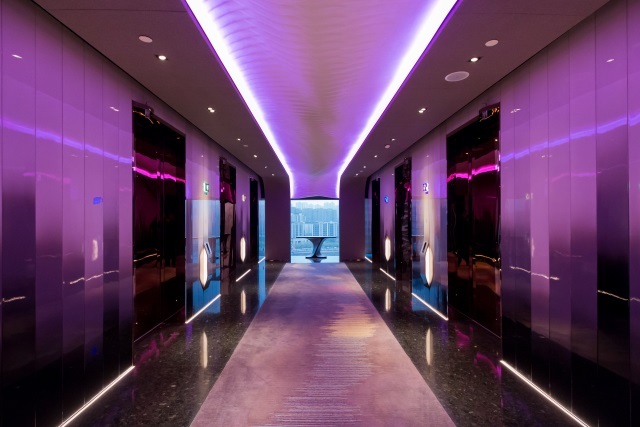 I haven't seen a hotel lobby big as this one, and the view inside the 17 meter high Living Room is simply jaw-dropping, so futuristic. The centerpiece of the Living Room is definitely the giant installation of curved glasses suspended from the ceiling. The curved glasses create swirls similar to the graceful swirls created by the silk ribbons used in Chinese ribbon dance. 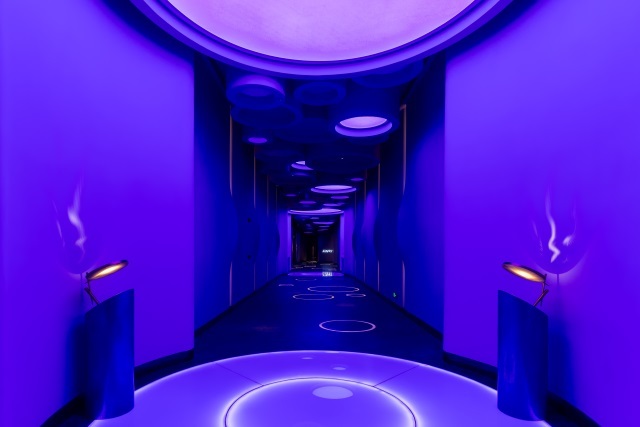 Responsible for the interior design of W Xi'an's public spaces, guestrooms and F&B outlets is the Hong Kong-based AB Concept, the same design studio behind the very successful W Bali - Seminyak and some of the dining outlets of W Suzhou. AB Concept is currently working on the interior design of W Algarve (Portugal) which is set to become the largest W Hotel in Europe. 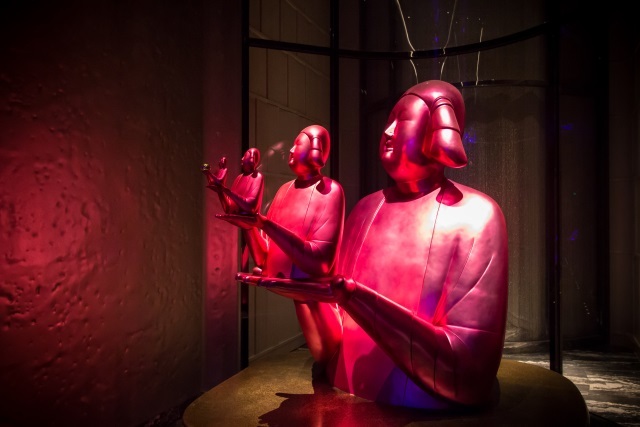 The overall design concept of W Xi'an is consistent with the modern luxury lifestyle brand of W Hotels which appeals to the young, digital-savvy and jet-setting leisure and business travelers, yet it is deeply inspired by local history and culture of Xi'an. 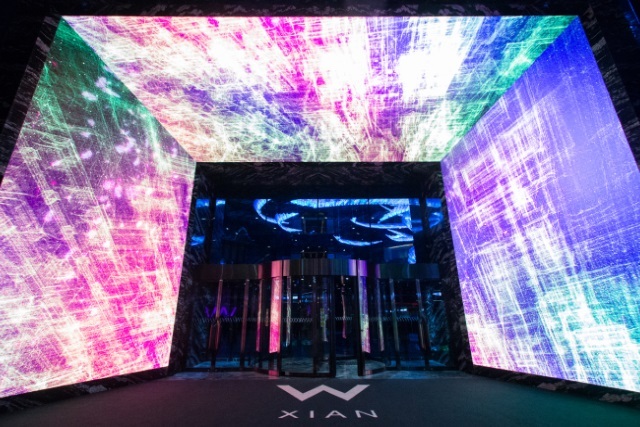 W Xi'an perfectly exemplifies the perfect harmony of western and eastern design elements. Public spaces and meeting venues are located on the first three floors of the hotel while guest facilities are located in the basement. Guestrooms and suites or located from the 5th floor to the 26th floor. 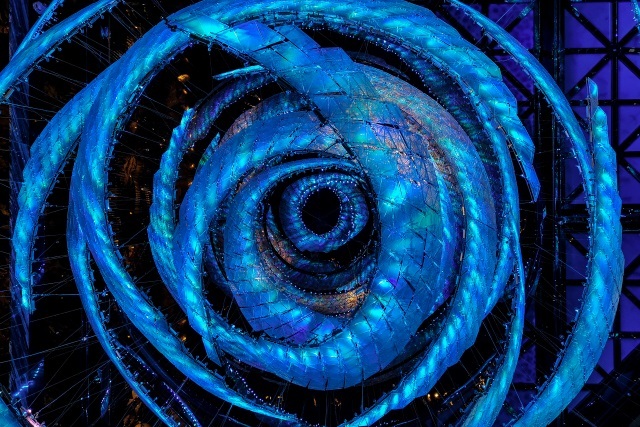 An electronic keycard is required to access the basement level as well as the 5th-26th floors. Check-in was effortless. Because my room was made directly via Marriott, by reservation was easily located by the reception at Welcome Desk. My registration was already pre-filled with my personal information and I just had to sign it. 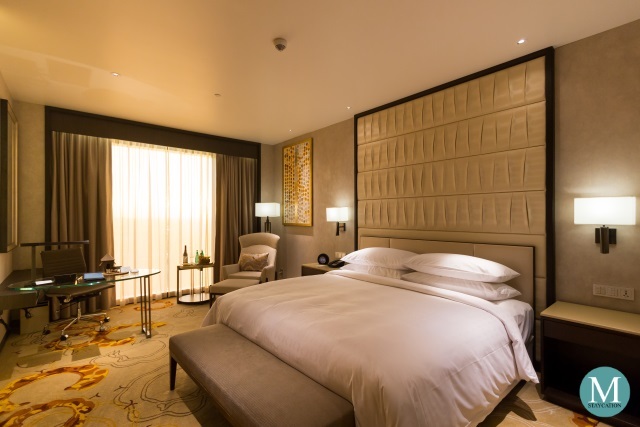 W Xi'an has 385 spacious and modernly designed guestrooms and suites. 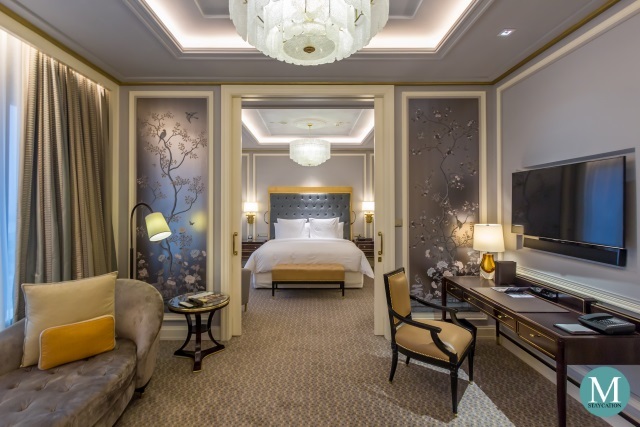 All rooms and suites have a private balcony where guests can enjoy either a view of the city or a view of the nearby Qujiang Lake. 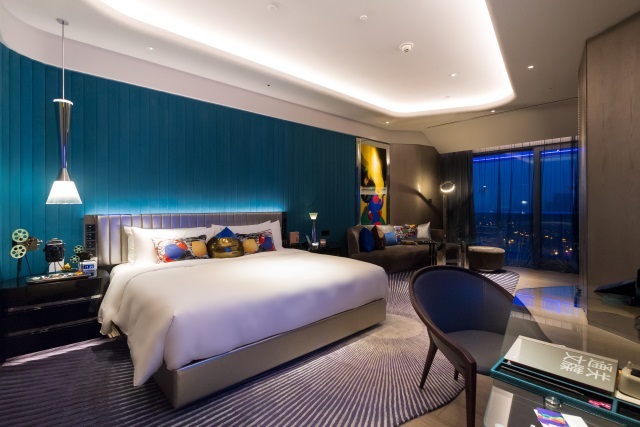 The Wonderful Room is one of the two guestroom categories of W Xi'an. All Wonderful Rooms are located on the lower floors of the hotel and guests can choose between a Wonderful Room with a city view or a lake view. I stayed at room 1219 which is a Wonderful Room Lake View located on the 12th floor of the hotel. 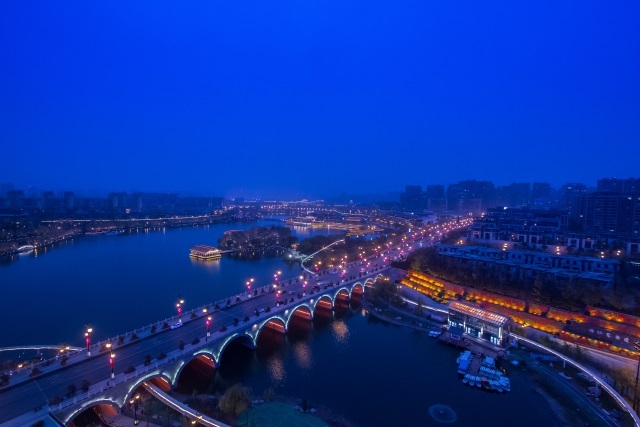 The hotel being located in the Qujiang New District, W Xi'an propels the city to its rightful place among the most modern cities of the world. 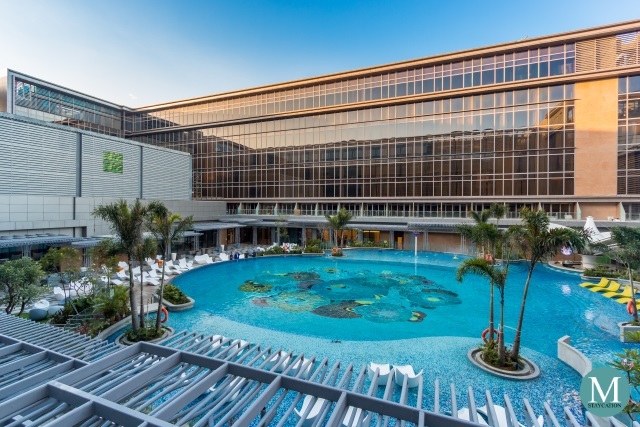 With the hotel's contemporary design come its innovative dining concepts which centers on traditional local cuisines crafted with modern culinary techniques and western influences. 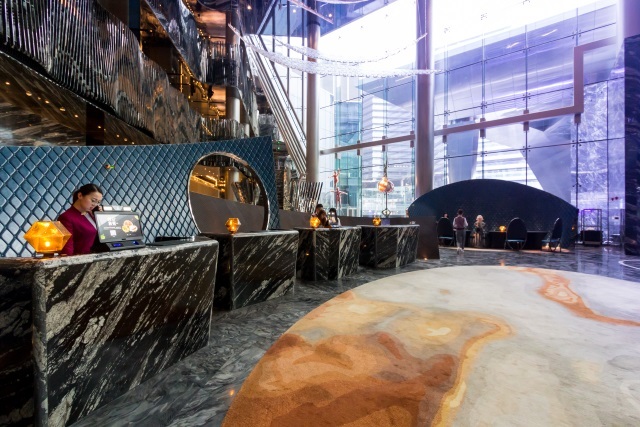 WOOBAR is the signature bar and lounge of W Xi'an with three distinctive spaces where guests can enjoy a sumptuous afternoon tea, a casual conversation over beer at the bar, or enjoy a wide selection of classic and innovative cocktails while listening to live DJ performances. 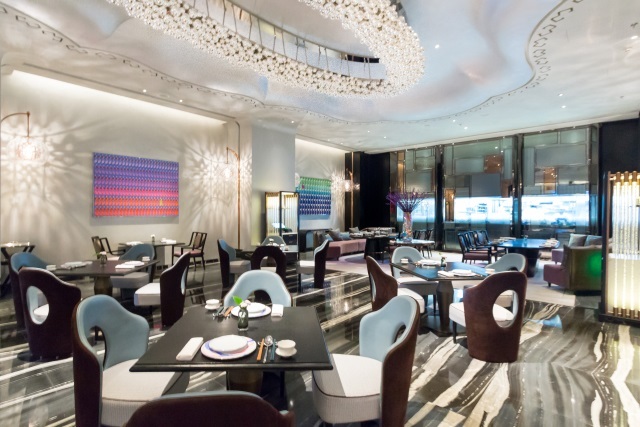 YEN Restaurant is the signature Chinese restaurant of W Hotels, and here at W Xi'an, YEN Restaurant specializes in Cantonese and Shaanxi cuisines. The restaurant features a spacious main dining as well as private dining rooms. 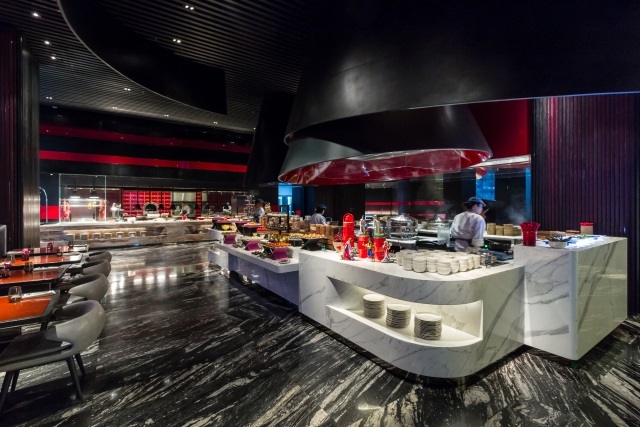 WEI Restaurant is the all-day dining restaurant of W Xi'an serving local and international buffets in an ultra-modern dining space. The restaurant is open daily for breakfast, lunch and dinner buffets. Guests can also order from their a la carte menu. 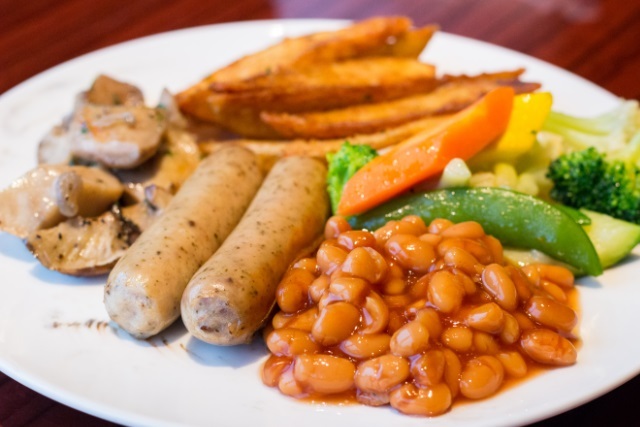 Whether you are fueling up to starting your day or fixing a hangover after an all-night drinking party, there is a breakfast venue that fits your schedule, mood, appetite or diet regimen. Buffet Breakfast at The Kitchen Table - the bed and breakfast room package at W Xi'an includes buffet breakfast for two persons at WEI Restaurant. Guests can choose among breads and pastries, continental items, fruits and salads, Chinese and Western hot dishes, a la minute egg dishes and noodle soup dishes. Walk-in guests are also welcome to dine. In-room Breakfast - the beauty of in-room breakfast is that you eat when you want to eat, what you want to eat. You enjoy the privacy of your room and it is so effortless, you don't even have to dress-up or put a make-up on just to dine for breakfast. All the facilities needed by guests to keep physically fit during their stay are located at the basement level of W Xi'an. 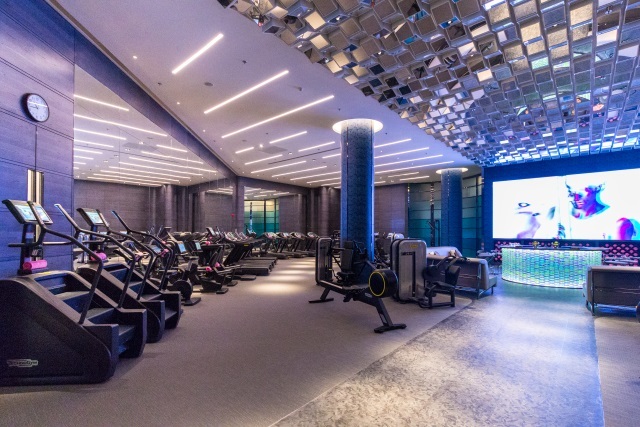 Being the largest W Hotels in Asia Pacific, W Xi'an deserves an equally large fitness center. This is, so far, the largest and most stylish FIT Gym I have been to. There's plenty of work-out machines and equipment inside the gym. There is even a spacious wellness bar where guests can re-hydrate or cool-down after working-out. FIT Gym is open 24 hours daily. 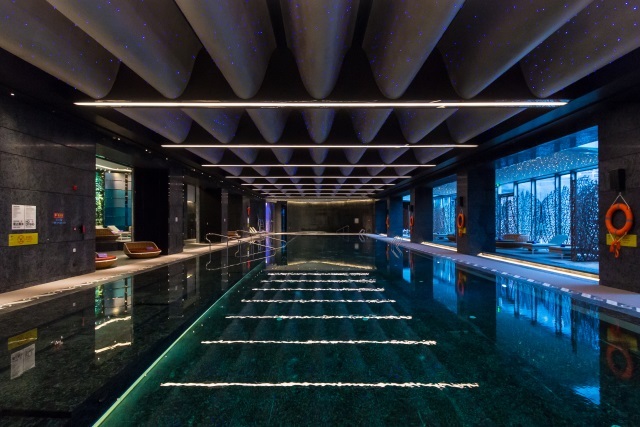 With heated water, guests staying at W Xi'an can enjoy the indoor WET Swimming Pool at any day of the year. It was winter when I visited Xi'an and both the indoor and water temperature were kept to a comfortable level for swimming. 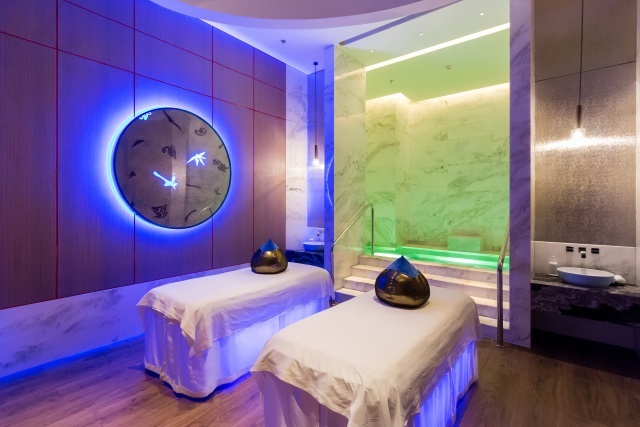 Checked-in and non-stay guests can indulge in a relaxing and rejuvenating massage at AWAY Spa, the signature spa of W Hotels. Guests can choose among full body massages, body treatments and facial care. AWAY Spa has five treatments rooms, including a couple's room with its own deep soaking bubble bath. It's difficult not to fall in love with W Xi'an. 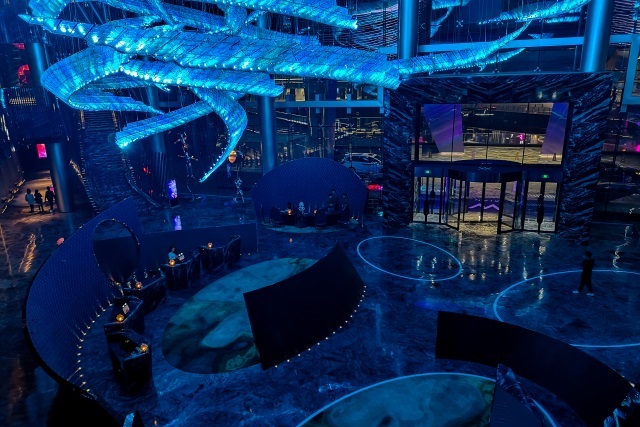 Its sheer size is already overwhelming and I was equally impressed with how they seamlessly scaled up to this size without compromising the level of customer service and consistency of the guest experience. Above everything else, it is the design of the property which will leave a lasting impression in me. A visit to Xi'an will never be the same without staying at W Xi'an.